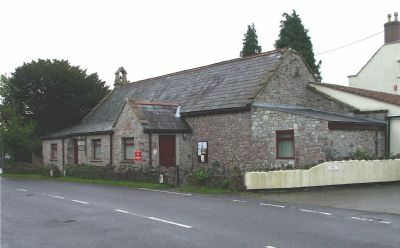 The Memorial Hall in Cross, built sometime after 1861 and used as a school for many years, was gifted to the parish in 1954. It became a registered charity in 1998 and is managed by a committee of trustees. In 2000 the hall was extended and refurbished, providing a modern kitchen, full central heating and disabled facilities. It is an ideal place for local clubs and societies, children's parties, meetings and receptions of all kinds. All charges include one hour’s pre-heating of the Hall when required. plus £15 for additional caretaking. A deposit may be required and all breakages must be paid for. NO ELECTRICAL EQUIPMENT can be hired. NOTE : The maximum number of persons permitted in the Hall is ; 60 standing or 50 if seated. There will be a charge of 50% of your booking fee if you cancel you giving less than 24 hours notice. Hall size; 40’ long x 15’ wide.